How unique is our planet in the Universe? [audio:http://www.truthrevolution.tv/show/TS-0296.mp3]No Flash Support? Use this Audio Player! Dave: His underlying assumption is… the Earth probably isn’t that special. Dave: Right – there are lots of stars and planets out there. But there are many many factors that come into play for a habitable planet. Probably HUNDREDS of factors. Dave: The list goes on and on. 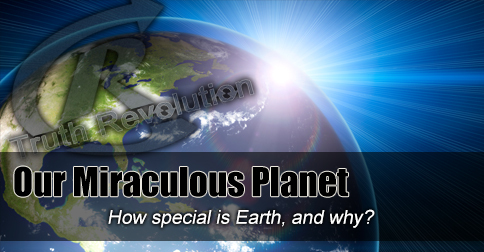 Jeff: It’s likely that our planet is very very special, miraculous, if you will. ← Landing on a Comet?